Authentic income system is another free binary options trading system. It looks like tonight is going to be a very busy one for me because there are handful of new systems that just hit the market so let’s get started. 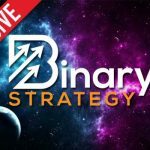 Today I’ll be providing a review and letting the binary today readers get a closer look at this binary options software. The authentic income system video, which happens to be the only aspect of their webpage starts off with the sound of the pedal hitting the floor and then we are shown images of a Porsche Boxster. I’m really not sure if this is supposed to be a binary options product or an advertisement for Porsche but I know one thing I’m immediately turned off. The Porsche is never explained and then the video leads into a bunch of questions like “tired of your job?”, “tired of answering to an unappreciative boss?”. The video then goes on to tell the viewer that if you have a bunch of problems the authentic income system can save you from them and give you the freedom to do whatever you want. This sales pitch is used and 99% of the binary options free systems. This is really the same old junk recycled over again. There is no reason for me to waste anymore my time reviewing the authentic income system. I am not recommending the system to any binary today reader because it is just like the rest. It reads like a total get rich quick scheme and here at binary today we don’t stand for that one bit. If you have something you would like to add to this review please leave your comments and remarks below. If you need help with binary options you can email me personally by clicking asked John or you could just look around the website and see what the binary options community here is using successfully. Hey John ..Help me find somthing real Man?..I feel that all binary systems are Scamms! !